The Buds 2 pendant lamps present themselves as part of the Buds collection by Foscarini. 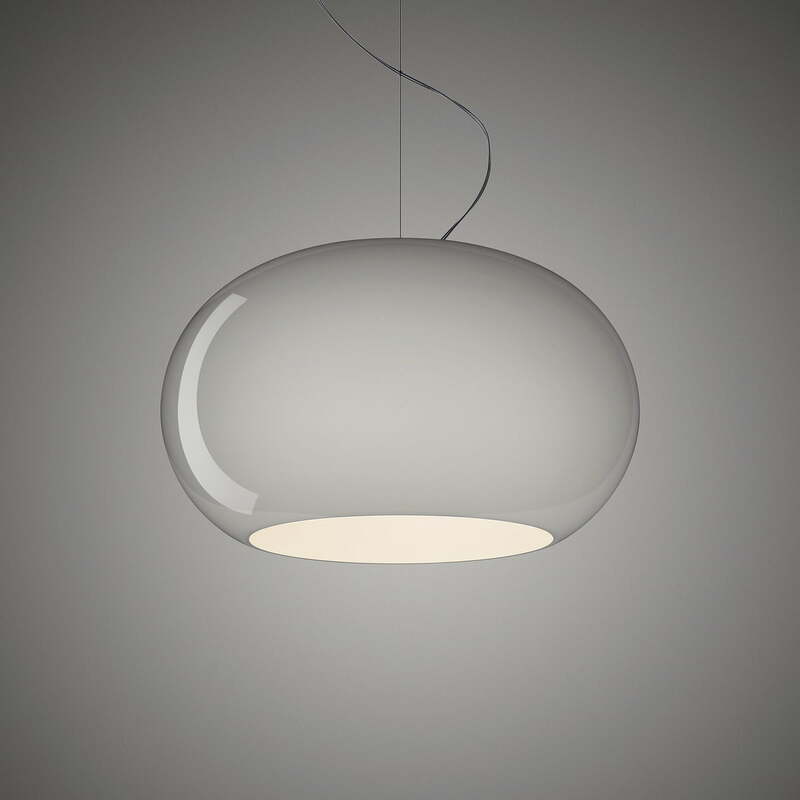 With his design the Italian Rodolfo Dordoni created an object that inspires by its soft and supple form. The protruding, bulbous silhouette of the mouth-blown glass diffuser creates not only a classy and elegant atmosphere, but through the light output also a cosy one. The glass body spreads the light semi diffuse and it fills the room with soft light. The opening in the bottom part of the luminaire, however, provides for direct lighting of the below lying surface. The glass ball features an interesting colour - white inside and coloured outside - which gives it an additional expression. In addition, the nearly transparent power cord nestles elegantly around the fine steel wire, thus creating an image of a flowing motion. The design of the Buds 2 pendant fits easily into any home interior and finds its place in public facilities such as hotel rooms or restaurants. Moreover, the combined arrangement with the suspended lights Buds 1andBuds 3creates a harmonious ensemble that draws attention in any room. As part of Buds collection, the design is available in different variations, colours or as table lamp in different sizes. 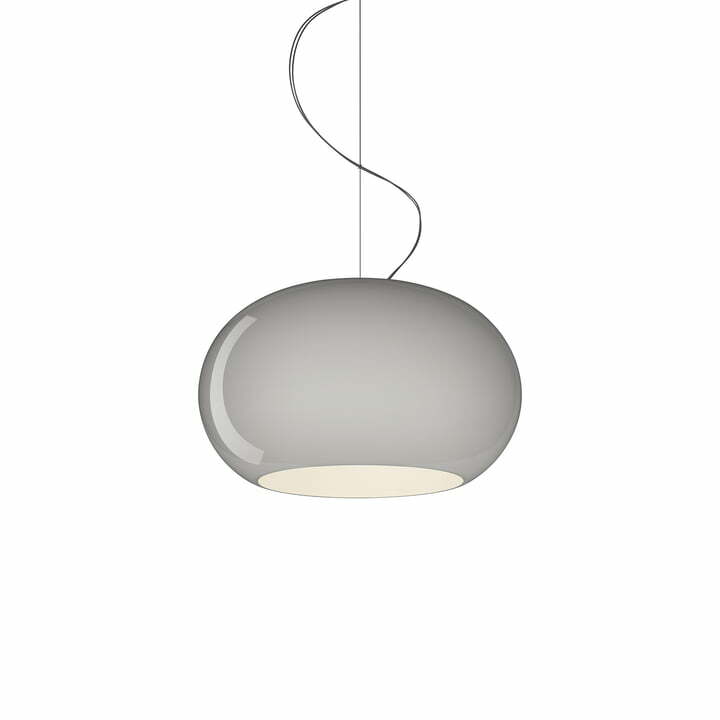 Individual image of the Buds 2 suspension lamp. Grey on the outside and white on the inside - this colour scheme gives the pendant that certain something and makes for an eye-catcher. Ambience image of the Buds 2 suspension lamp. While diffuse, indirect light shines through the glass body, the light is concentrated through the lower opening and radiates directly downwards.